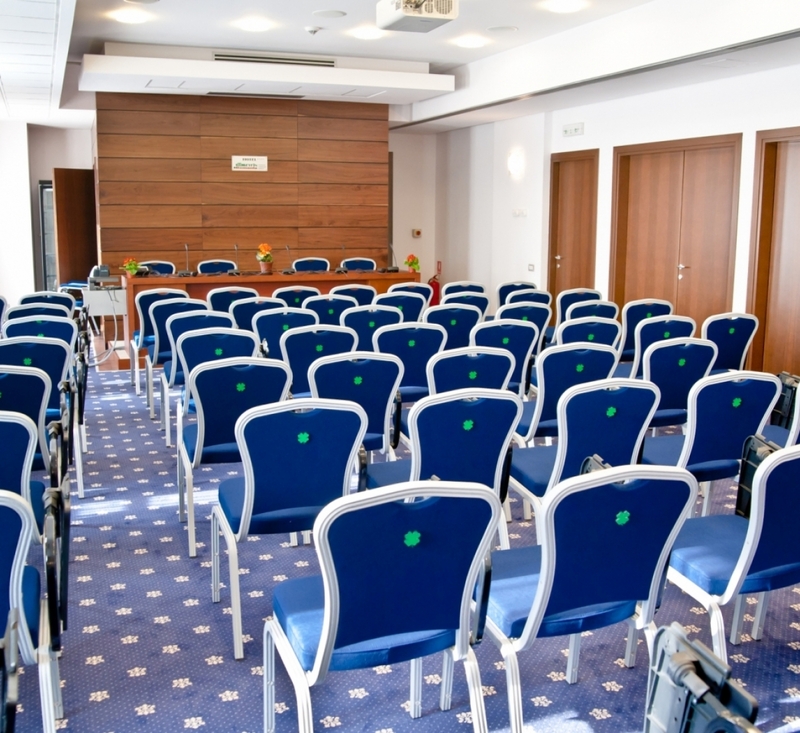 The Conference Room, is a popular venue choice for elegant corporate meetings and presentations for up to 90 guests at the Beyfin hotel in Cluj. 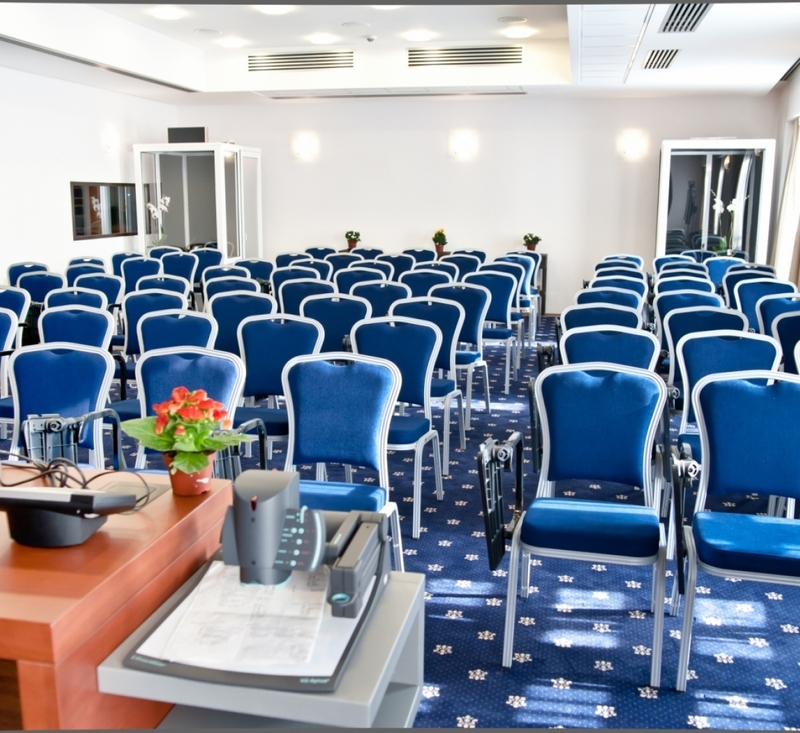 It is outfitted with the latest, high-top quality audiovisual equipment, picture screens, overhead video and slide-projectors, advanced audio and microphone system. The “Cristie Digital” projector with 4000 ANSI/lumens provides high definition images for all presentations, all devices from the room are controlled by a Creston processor, which is equipped with a remote touch screen, available at the presidium table. 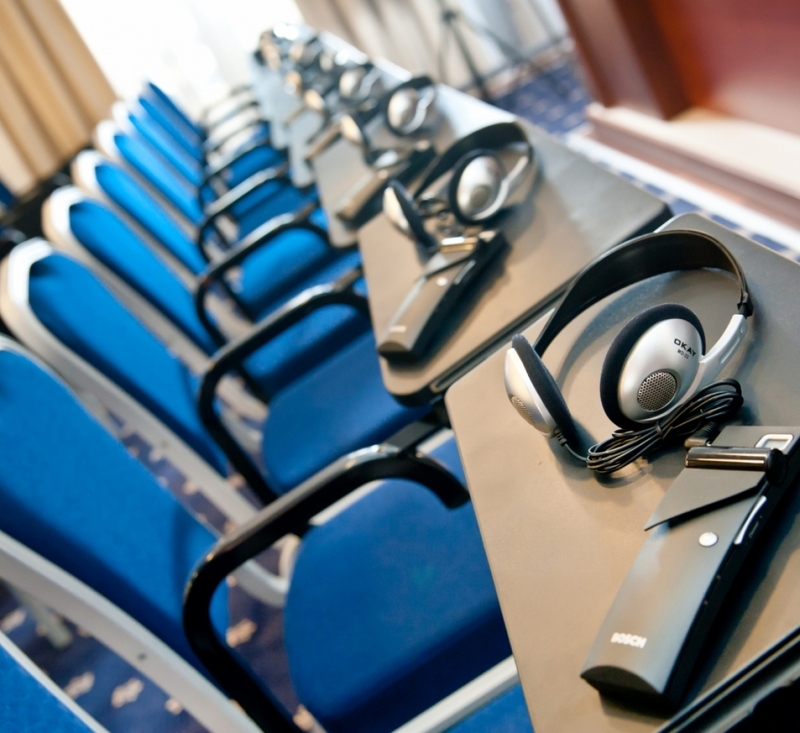 The sound system is ensured by Bosch equipment and is composed of: discussion system from presidium table, available for 1+4 speakers (president + delegates), simultaneous translation system which can be used for 3 languages other than the spoken language from the room, Bosch amplifier and speakers, a powerful Tandberg videoconference system which can be provide ISDN connection or TCP/IP with any other video conferencing system in the world. Teleconferencing can be done also by using a mobile smart phone that allows this function. 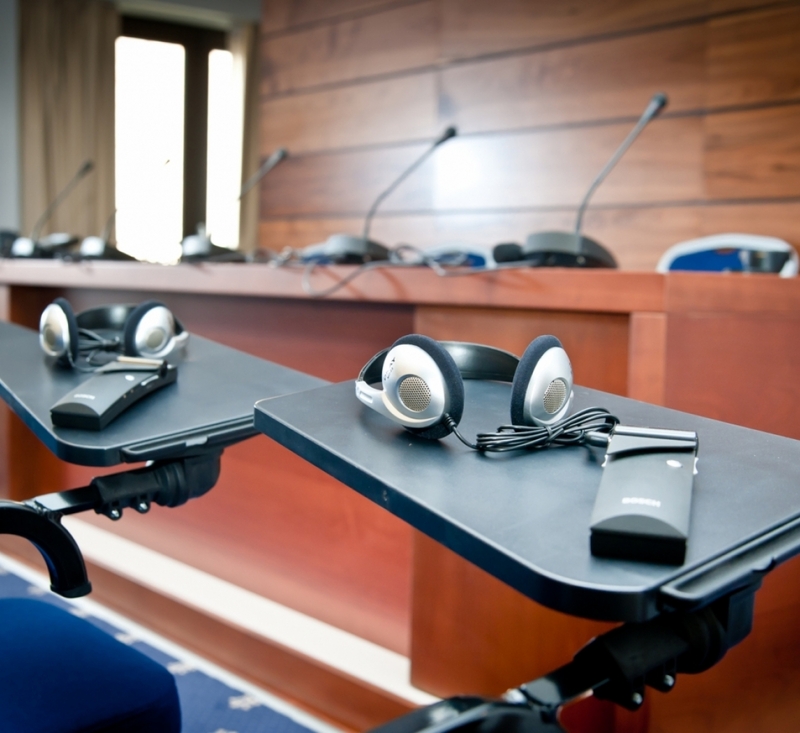 This modern conference room in Cluj provides two laptops that can be connected to the jacks of the presidium table. 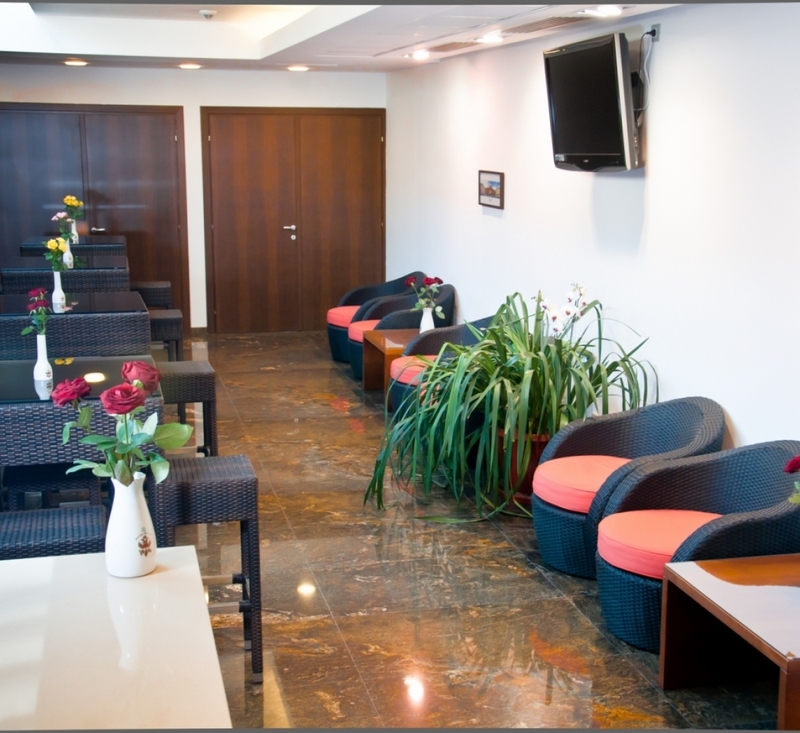 With all these available facilities you can perform any desired activity in the best conditions. 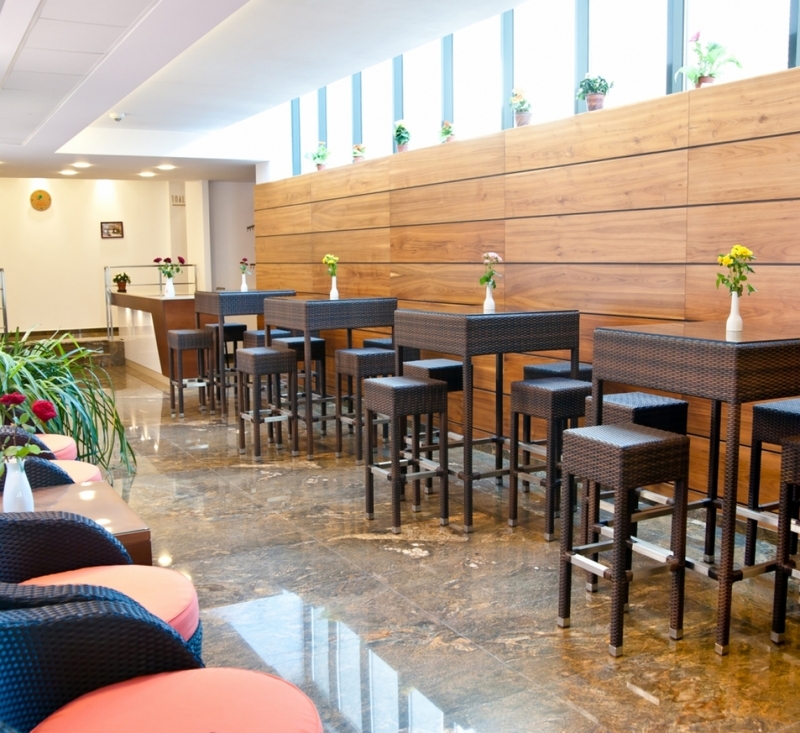 If you want to book the conference room for your activities, you can contact us via e-mail: fom@hotelbeyfin.com or via telephone: +40758 082 802.